Please wait while the photos load on this web page. 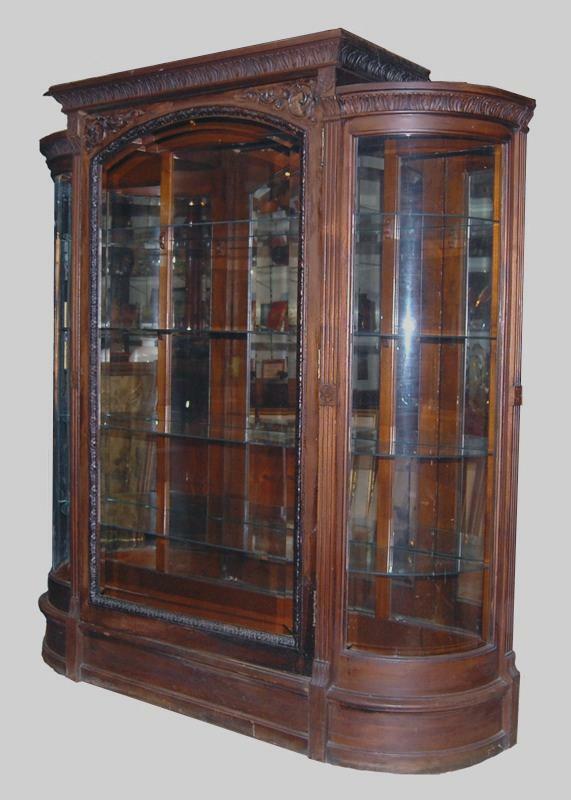 This is a grand and extravagant 19th century china cabinet. The history of German antique furniture is very complex involving the different styles of all the independent city states. 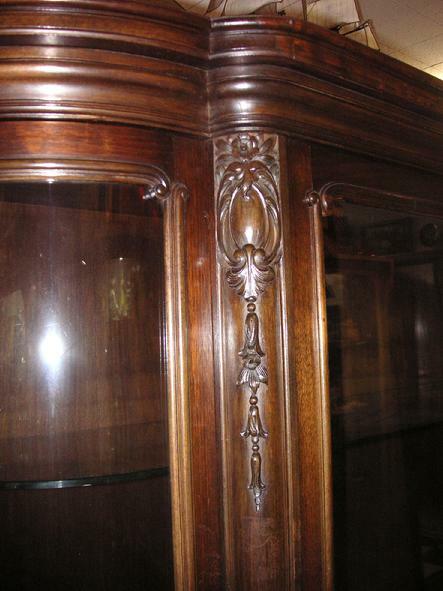 German antique furniture tends to be very sturdy, made with the best woods from German forests. 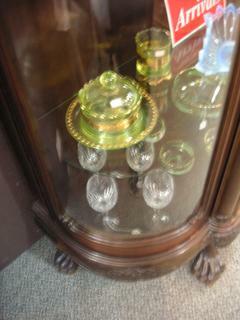 It was so well made that a good deal of the earliest pieces still survive today. 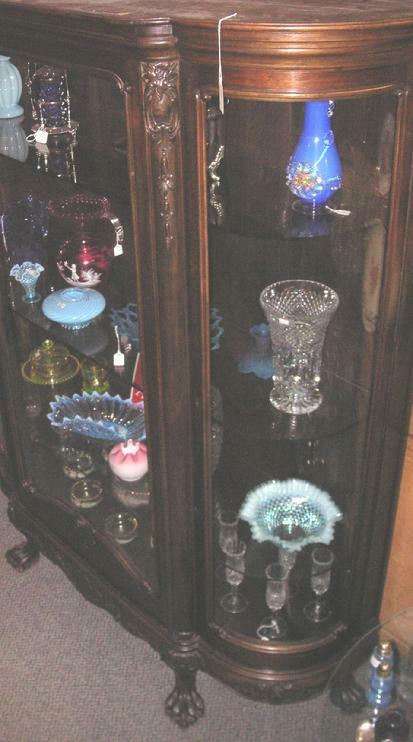 Three moveable Glass shelves on the interior. Measures: 73�H x 60�W at widest point x 19� Deep. 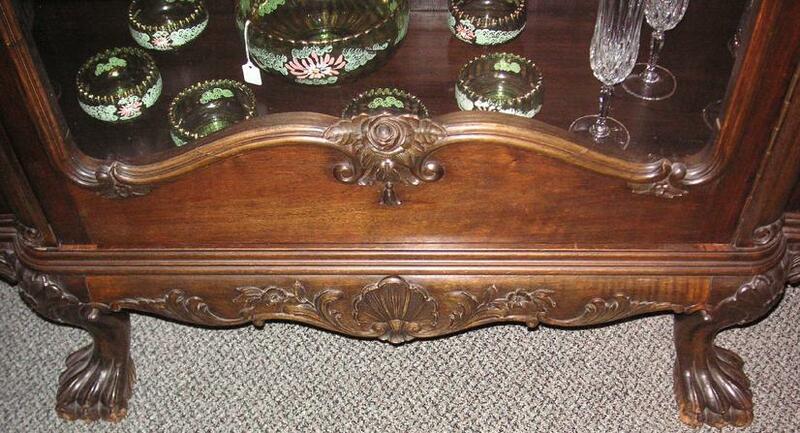 The wood is black walnut in a very rich and lustrous surface patina. 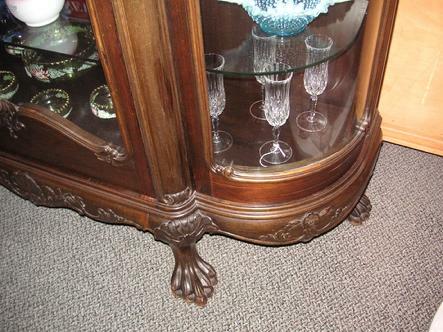 It is so elegantly carved that I am sure that this is one of a kind. 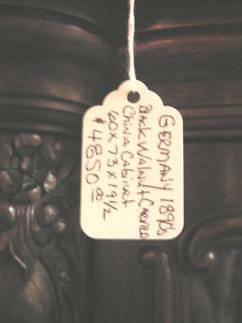 Antique German furniture follows its own time frame. 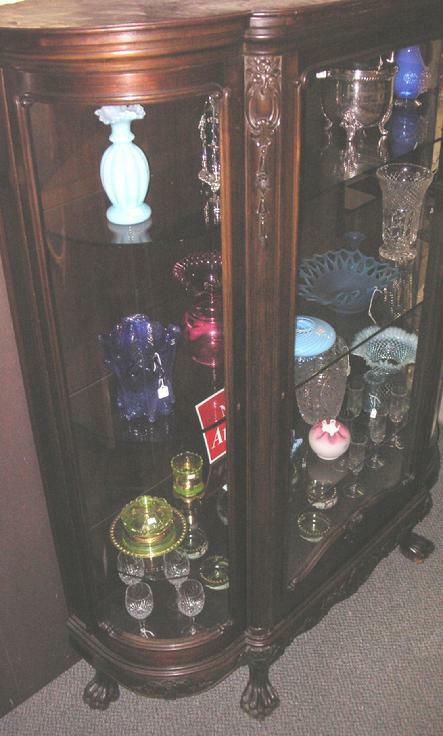 The basic styles of each period are similar to other countries, but the features are distinctively German. Germany as we know it today did not come into existence until 1871. Before then, there were independent regions, and each one had its own distinct style. 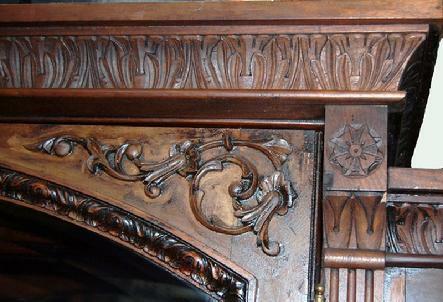 You can tell where each piece came from because the craftsmen would put the seal of their city on the piece. 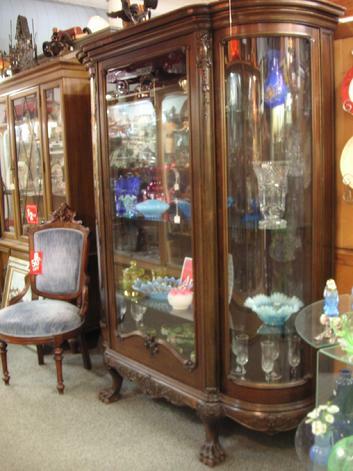 This bowed glass black walnut china cabinet is from 1890's. Purchased in Berlin, Germany and moved to the U.S. in the 1970's. 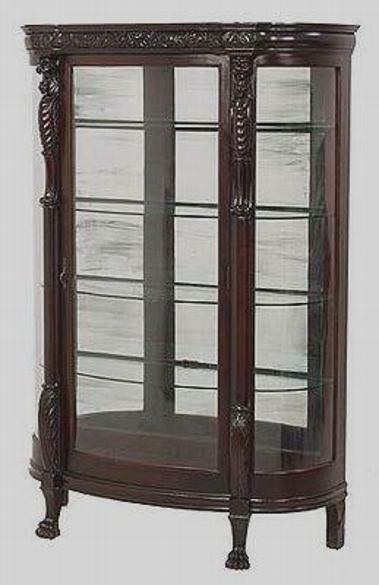 It is an unusual cabinet in a classical design. 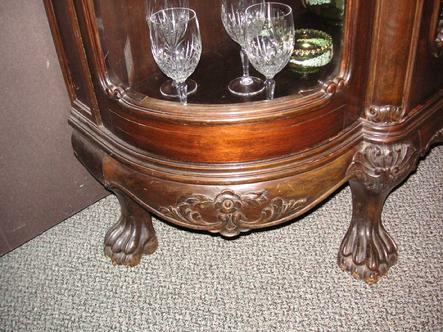 The cabinet has carved lion claw feet in the front and back. 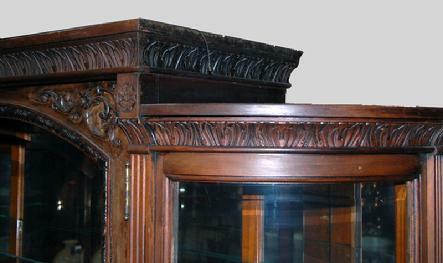 Across the top is a carved crown and on the top corners of the door is an applied carving (see photos). 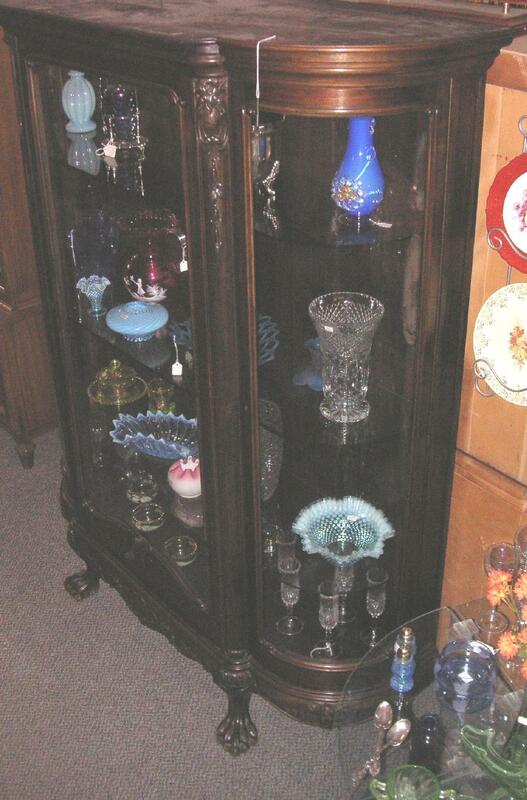 The front door has a flat very heavy glass panel & each side panel of the cabinet is a bowed glass panel. 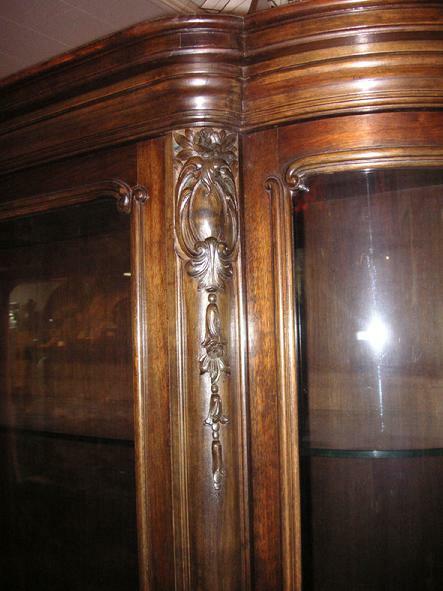 The craftmanship of this cabinet is exceptional. All of the locks on the three cabinet doors are in working order with keys. 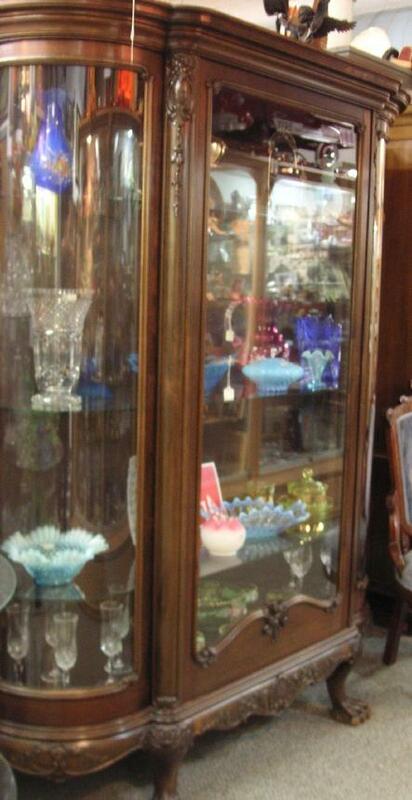 The cabinet has three beveled glass shelves with nice edges. One shelf has a small chip on one side (see photos). The shelves measure 14" deep. As you can see in the close up photos the color & grain of the black walnut is really quite exceptional. 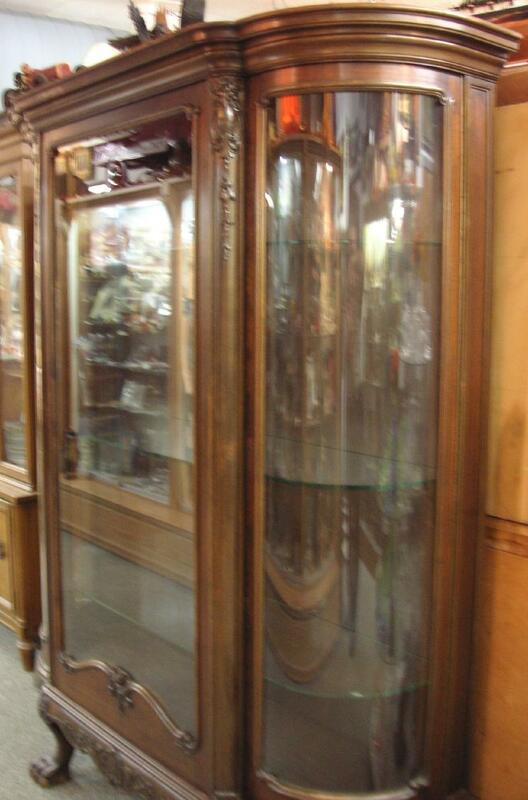 This is a massive cabinet measuring 60" wide x 73" High x 19" deep and weighs a several hundred pounds. See my additional photos and comparison pieces. Is the third largest manufacturer of furniture in the world and German contemporary designs, particularly in upholstered furniture, dominate some markets. Much of the impetus for the modern German furniture industry can be traced back to the early 20th century Bauhaus furniture movement. Click to go back to the of this page..